The notion that “the medium is the message” is attributed to Marshall McLuhan, but the folks at Rose Metal Press seek to marry the media to the message with their individually designed, beautifully custom-printed editions of what they describe as “hybrid genres.” The result is books that could seem pricey and precious were it not for the fact that they offer a perfect match to the right readers. The Brookline, Massachusetts-based (with a strong Chicago presence due to its co-founder’s local residence) publisher’s books aren’t for everyone, and that’s the point: they don’t need to be, considering each so gloriously fits its own highly personal niche. Her gift to her daughter is manifesting toughness and forbearance, if not patience. The silver type-stamped Chinese-red cover evoking the durable utilitarian leatherette of an earlier era seems the perfect wrapping for tales that are almost parables but lacking cheap moralizing. 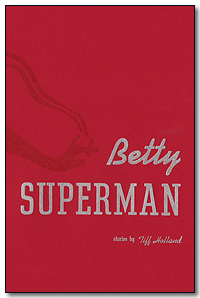 The reader will note that the author has dedicated this book to her own mother, but may also hesitate to speculate how closely Betty emulates the author’s mom, given that the author reports (twice) that besides living in Austin she is “one hell of a shot.” One suspects Mom is too. 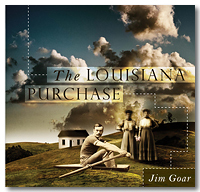 In “The Louisiana Purchase,” Jim Goar’s short, trenchant prose poems riff on American history in a surreal way, superimposing their own imaginary landscape upon the approximately 822,000-square-mile territory acquired by President Thomas Jefferson and explored by Lewis and Clark from 1804 to 1806. Often the place the writer pretends to stand is a point on the space-time continuum identified as “Iowa 1806,” which he is absolutely free to re-imagine because it was not even on the explorers’ pathway. “The Louisiana Purchase” is not history; it is modern speculation coexisting with our American frontier mythos and re-interrogating it. For Goar’s literary ancestor, one might look to the late Richard Brautigan (“Trout Fishing in America,” “A Confederate General from Big Sur”). Often there is humor in the author’s boundless free-associating, with shaggy-dog-like results: an elephant and a horse wander into the picture; the elephant is arrested, the horse sentenced to a firing squad. Even when we can’t get what he’s driving at, we are inspired to emulate his method, itself no small literary achievement. On other occasions he engages in a more forthright populist critique of American government and society.